Technology and knowledge of oral implantology and dental medicine is advancing very quickly. By investing in knowledge and keeping up with the newest procedures and technologies we guarantee a better quality of service, less pain and safer and more efficient procedures and therapies for our patients. 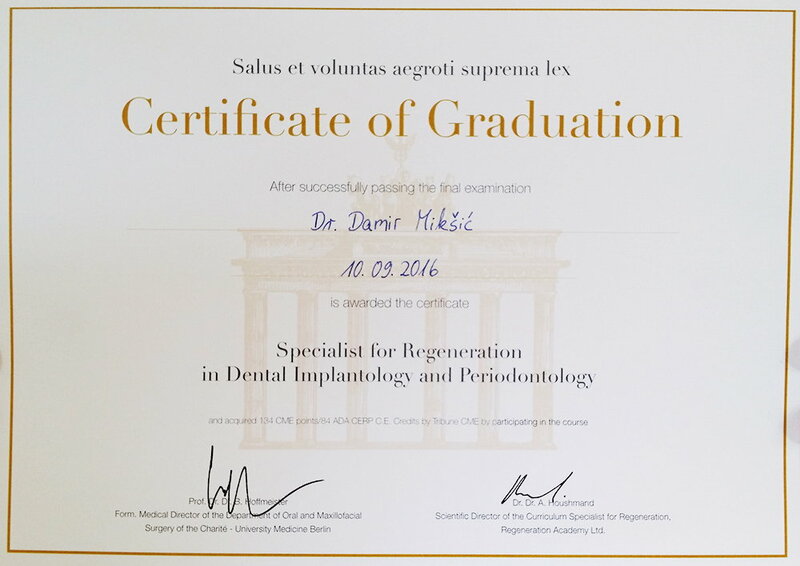 Dr. Damir Mikšić has recently successfully completed his specialization in one of the most prominent European university hospitals, Charité in Berlin, and with that he was granted the title of Specialist for Regeneration in Dental Implantology and Periodontology. 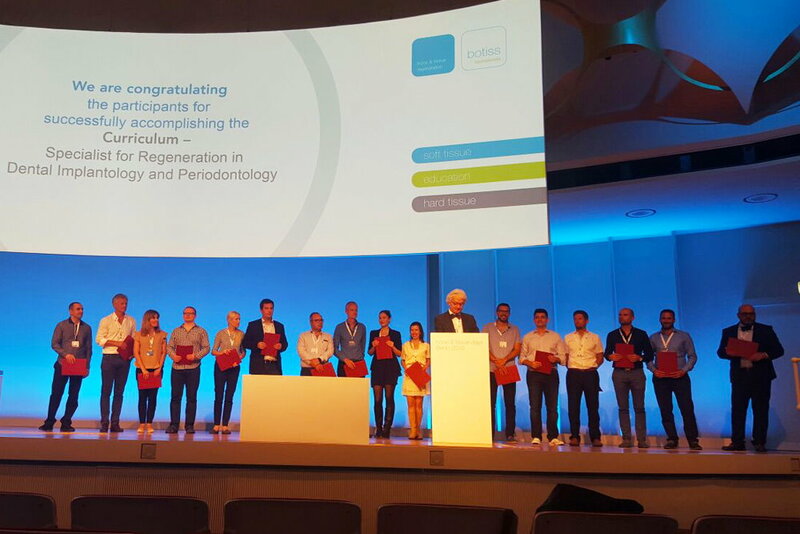 The specialization included the most recent approaches to procedures in implantology as well as procedures of upgrading and reconstructing the dental bone and tissues. What does this mean for our patients? The use of the newest procedures in implantology and oral surgery makes sure our patients experience less pain and unease after the procedure. In addition to that, the procedures are safer and the chances for therapy success are also increased.